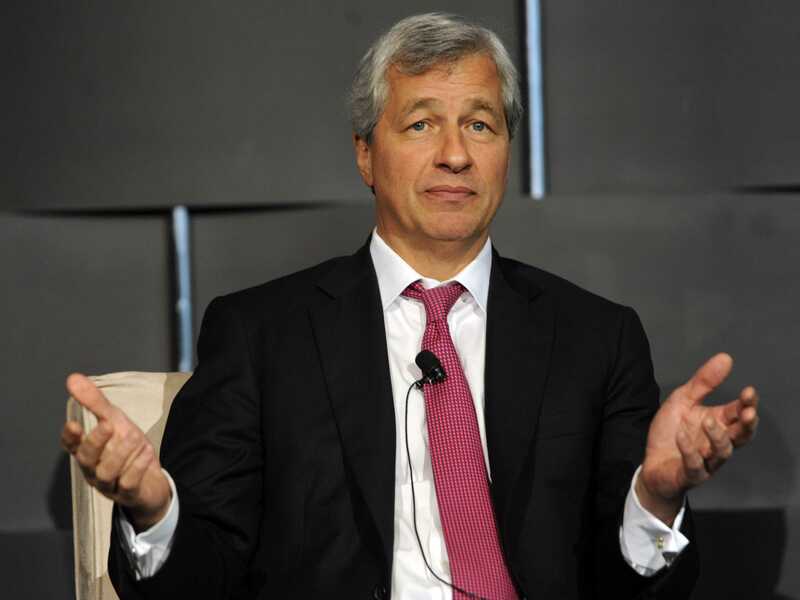 In a letter to shareholders last week, Jamie Dimon, JPMorgan’s CEO, makes a few interesting points and shows that he is aware of at least some of the tensions arising due from regulatory and fintech challenges. He goes through a thought exercise to imagine what the next crisis might look like. In my opinion, banks and their board of directors will be very reluctant to allow a liquidity coverage ratio below 100% – even if the regulators say it is okay. And, in particular, no bank will want to be the first institution to report a liquidity coverage ratio below 100% for fear of looking weak. This is an excellent point, reminiscent of Bagehot’s teaching that artificial ratios and thresholds are set to trigger crises once they are violated. In a crisis, weak banks lose deposits, while strong banks usually gain them. In 2008, JPMorgan Chase’s deposits went up more than $100 billion. It is unlikely that we would want to accept new deposits the next time around because they would be considered non-operating deposits (short term in nature) and would require valuable capital under both the supplementary leverage ratio and G-SIB. In 19th century free banking systems in Scotland and Canada, healthy banks actively stepped in to protect the integrity of the whole banking system (which could at time be threatened when a single bank was going under). Regulation is now making this much more difficult. In a crisis, everyone rushes into Treasuries to protect themselves. In the last crisis, many investors sold risky assets and added more than $2 trillion to their ownership of Treasuries (by buying Treasuries or government money market funds) […] But it seems to us that there is a greatly reduced supply of Treasuries to go around – in effect, there may be a shortage of all forms of good collateral […] banks hold $0.5 trillion, which, for the most part, they are required to hold due to liquidity requirements. Many people point out that the banks now hold $2.7 trillion in “excess” reserves at the Federal Reserve (JPMorgan Chase alone has more than $450 billion at the Fed). But in the new world, these reserves are not “excess” sources of liquidity at all, as they are required to maintain a bank’s liquidity coverage ratio. This points reflects my arguments that the only effect of regulation has not been to make institutions more liquid but to silo what effectively becomes unusable liquidity. His point that excess reserves are required for the LCR is debatable though, as they could be replaced with other high-quality liquid assets (although bankers have reduced incentives to do so in an IOR and zero/negative interest rate world). In the last crisis, banks underwrote (for other banks) $110 billion of stock issuance through rights offerings. Banks might be reluctant to do this again because it utilizes precious capital and requires more liquidity. Of course banks don’t literally ‘hoard’ capital (I can already hear Anat Admati from here). But what Dimon is saying is that banks would save up on scarce capital by preventing that sort of facilities from being used in the first place. However, given what he described above, his claim that the banking system is “stronger than ever” feels quite odd. Dimon also warns shareholders that further disruption is expected: Silicon Valley/fintech. While he says that “some payments systems, particularly the ACH system controlled by NACHA, cannot function in real time”, he points out that competitors such as Bitcoin and Paypal are coming in the payments area and that banks have to adapt to the real-time challenge. On top of that, quicker, more effective alternative lenders (read P2P and similar) are entering the market.